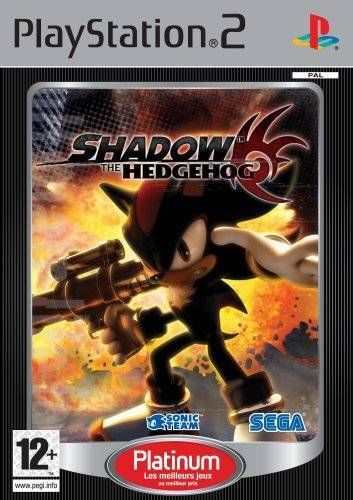 Shadow the Hedgehog is one of the most hated games in the entire Sonic franchise, almost everyone I spoke to told me to avoid it like the plague, but very few people said that the game was a fun experience and that they think the game is underrated, so I had no idea what to expect when playing this game, a Sonic game with guns? This is either going to be awesome or its going to be extremely stupid. Now that I have played through the entire game I am ready to share my opinion with all of you in the style of a review. Could it really be that bad? 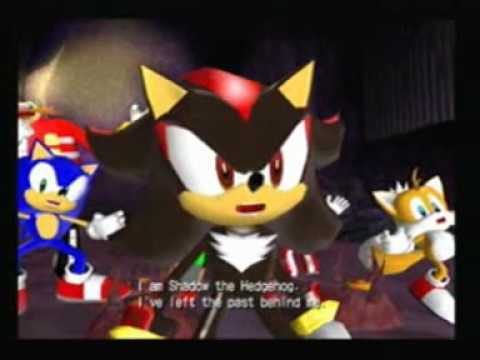 There are 22 levels in Shadow the Hedgehog Unlike traditional 3D Sonic games which have individual character stories, Shadow the Hedgehog uses a path system allowing the player to create their own story. Depending on what path you take you will either end up being a Hero or a villain at end of the game. 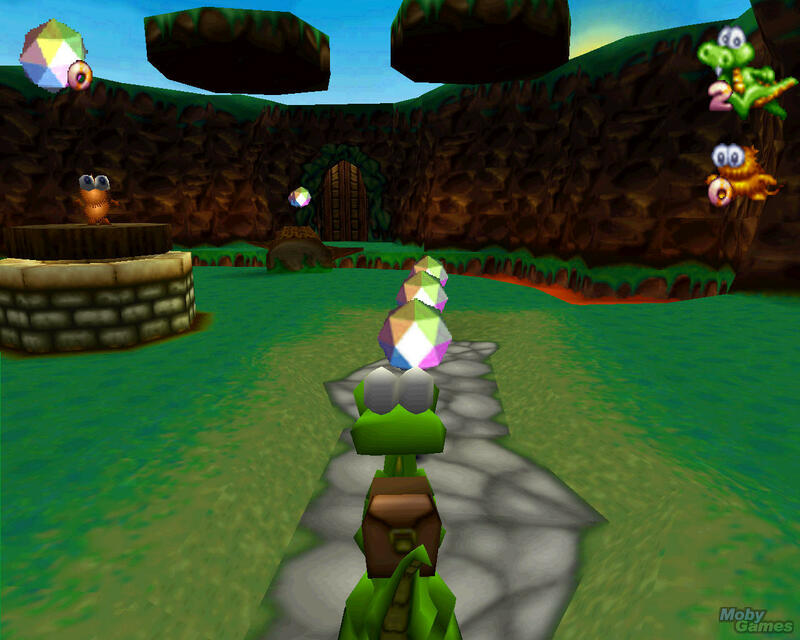 Almost every stage in the game will give the players three objectives one dark objective, one neutral objective and one hero objective depending on which objective the player finishes will determine which stage they will get to next. If the player finishes a dark mission they will move up on the path system, if they finish a neutral mission they will move forward on path system and if they finish a hero mission they will move down on the path system. 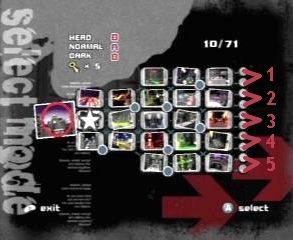 During one play through of the story mode, the player will play six stages depending on whether they do the dark or hero mission on stage six they will have to fight one of two final boss fights for the path they are on, earning the player one of ten endings. 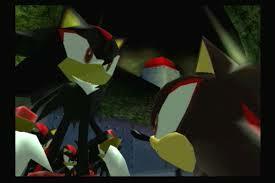 The path system could have worked out really well if Sega didn’t mess it up, the problem with the path system and my biggest issue with game is that in order to unlock the final story you need to get each ending, which means playing through the majority of stages a number of times and yes you need to beat the game TEN TIMES!!!!. I didn’t mind the first few runs of the game but after a while I got sick of seeing the same stages over and over again especially Westopolis because with it being stage one I had to play this stage during every single play through of the game. On a lighter note the game controls were perfect I didn’t have a problem with game once even when Shadow was moving really fast I was still able to have really smooth control over him, this is something that I don’t often find in 3D sonic games so it was nice to play a game that when I died it was my fault and not game glitches or bad controls. 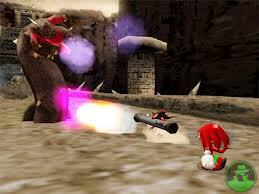 For some reason Sega thought that giving Shadow the ability to use guns to kill his enemies would help the game appeal to the older demographic, but it just looks really silly and ridiculous, seriously no one wants to run around shooting aliens with an AK-47 in a Sonic the Hedgehog game. As silly as the guns are, they are not my issue with this gameplay style, the problem is that the game auto aims once Shadow gets close enough to an enemy which is great but it becomes an issue when you get surronded by enemies and you cant shoot them all usually resulting in your death. 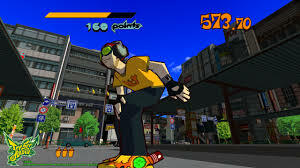 If Sega gave the player the ability to aim they could take out enemies using clever strategy and skill and in my opinion the use of guns would have been a lot more constructive and would work a lot better to the players advantage. Shadow the hedgehog does have a pretty good sound track, it does lack in vocal tracks but some of the level themes are really catchy, my personal favourite level theme is Circus Park. All of the vocal tracks in the game are really good, I love All of me by Crush 40 (intro music), credits music for beating an ingame path is ok at best, but Never turn back by Crush 40 (the credits music for the final story) is by far the best track in the game and is one of my personal favourite vocal tracks in any game ever. So we have determined that the game has good controls, an ok path system that gets repetative and boring after the first few play throughs,terrible gun mechanics and for the most part a pretty kickass sound track but how does it look? 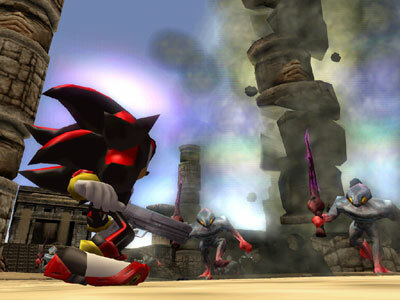 Wow this game is ugly, from looking at the pictures you wouldnt think that Shadow the Hedgehog was a PS2, Gamecube and Xbox game, The graphics are flat and blocky, the colours are ugly and bland, when characters talk the lips dont sync to what they are saying, the voice acting is cringeworthy, the enemy and level designs are very basic and not very interesting to look at and I am not kidding but I have played Dreamcast and ps1 games that look better. your helpful info. Thaanks for the post. I will certainly comeback.